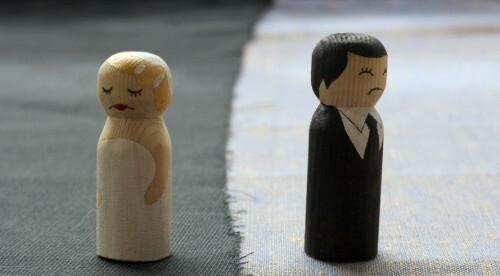 Getting divorced is well known to be one of the most stressful experiences people can go through. As well as upheaval and upset, marital breakdowns throw up a whole range of practical problems. So, if you’re about to part from your spouse, here are a few of the things you should expect. As legal specialists The Law House note, divorces have a range of legal and financial implications for everything from living arrangements to the division of assets. If you want to protect your interests, you’ll need to make sure you’re switched on when it comes to the legal process and understanding your rights. To minimise tension between you and your spouse, it’s worth considering mediation. These services can help to encourage cooperation and you can use them before official divorce proceedings begin. By helping to prevent disputes from escalating, mediation can keep your legal costs – not to mention your stress levels – down. When the court is deciding on a financial settlement, it will take into account all property owned by both parties. This includes any property acquired by either of you before your marriage as well as during it. Don’t be tempted to try to hide any assets as this may result in you being penalised by the court. If you have children together, you will also need to come to arrangements concerning their future care. Bear in mind that regardless of where the children will live, both parents have a responsibility to provide financial support. The legal and financial complications associated with separating from a spouse can seem overwhelming and there may be times when you feel as though you can’t cope. However, if you seek suitable legal advice from the outset, you can make the process easier and ensure your rights are protected. On top of these practical issues, there’s a huge emotional burden to bear when you separate. Even if you were unhappy in your marriage and are in some sense relieved it’s over, adjusting to life without your spouse can be extremely difficult. Many people experience a form of bereavement when their marriage comes to an end. You might also feel a sense of failure that you couldn’t make your partnership work. In addition, you may worry that you’ll struggle to meet someone else and generally get your life back on track. During this difficult period, it is crucial that you have an effective support network of family members and friends in place who you can turn to when you’re feeling low. Your family and social life may transform as a result of your divorce and this is something you will be need to be prepared for. For example, you might lose touch with certain people who you were once close to. Marital breakdowns tend to be particularly difficult for children to deal with, so if you have kids with your spouse, you must do everything you can to protect them during this process. Focussing on your children’s needs will make it easier for them to cope and it can give you a more balanced perspective on your situation. Divorce is rarely simple, but by knowing what to expect, you can take some of the stress and worry out of your separation.